Alfred Y. Cho was born on 10 July 1937 in Beijing, China. He received the B.S., M.S., and Ph.D. degrees in Electrical Engineering from the University of Illinois in 1960, 1961, and 1968, respectively. He is Director of the Semiconductor Research Laboratory at AT&T Bell Laboratories, Murray Hill, New Jersey. In 1961, Dr. Cho was a member of the engineering staff at Ion Physics Corporation, Burlington, Massachusetts, a subsidiary of High Voltage Engineering Corporation, where he studied charged micron-sized solid particles in intense electric fields. In 1962, he joined TRW Space Technology Laboratories, Redondo Beach, California, and engaged in research in high current density ion beams. He returned to the University of Illinois in 1965 to pursue doctoral studies and, in 1968, joined Bell Laboratories as a member of Technical Staff: He was promoted to Department Head in 1984 and to Director of the Materials Processing Research Lab in 1987. Dr. Cho assumed his present position in 1990. Dr. Cho's many significant research accomplishments include the development of molecular beam epitaxy (MBE), which has the ability to deposit single crystal structures one atomic layer at a time creating materials that cannot be duplicated by nature or fabricated using any other known technique. This precise crystal growth method is used for the fabrication of quantum structures, and electronic and optical devices. He fabricated the first MBE artificial superlattice, the first MBE hyper-abrupt junction varactor, IMPATT diode, mixer diode, field effect transistor operating at microwave frequencies, and the first MBE double- heterostructure laser operating cw at room temperature. Most of the semiconductor lasers used in today's compact disc players are manufactured using MBE material. The impact of MBE fundamental science has been at least as dramatic as its impact on semiconductor technology. It brings experimental quantum physics to the classroom and most major universities throughout the world have MBE systems. Dr. Cho has published over 400 papers in surface physics, crystal growth, and device physics and performance. He holds 46 patents on crystal growth and semiconductor devices related to MBE. 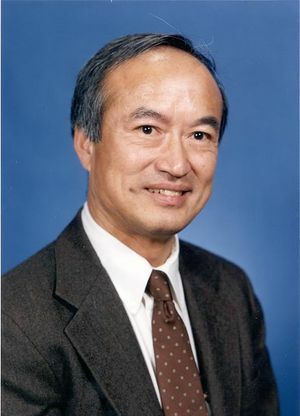 Dr. Cho has received many awards, including: Electronics Division Award of the Electrochemical Society, 1977; American Physical Society International Prize for New Materials, 1982; IEEE Morris N. Liebmann Award, 1982; GaAs Symposium Award-Ford, 1986; Heinrich Welker Medal-Siemens, 1986; Solid State Science and Technology Medal of the Electrochemical Society, 1987; College of Engineering Alumni Honor Award of the University of Illinois, 1988; World Materials Congress Award of ASM International, 1988; Gaede-Langmuir Award of the American Vacuum Society, 1988; Industrial Research Institute Achievement Award of the Industrial Research Institute, Inc., 1988; New Jersey Governor's Thomas Alva Edison Science Award, 1990; International Crystal Growth Award of the American Association for Crystal Growth, 1990; Asian American Corporate Achievement Award, 1992; AT&T Bell Labs Fellow Award, 1992; and National Medal of Science, presented by President Clinton, 1993. He is a Fellow of the IEEE, and the American Academy of Arts and Sciences. He is a member of the Academia Sinica (Taiwan), U.S. National Academy of Engineering, and National Academy of Sciences. He won the 1994 IEEE Medal of Honor "For seminal contributions to the development of molecular beam epitaxy". Cho and his MBE machine, 2009. This page was last edited on 5 September 2017, at 13:37.